First Year Programs is currently recruiting for our First-year Interest Group (FIG) Leader and Orientation Leader (OL) student positions! Orientation Leaders play a vital role in the orientation process, working closely with new students and their families on a wide variety of topics including academics, student involvement, housing options, and more. 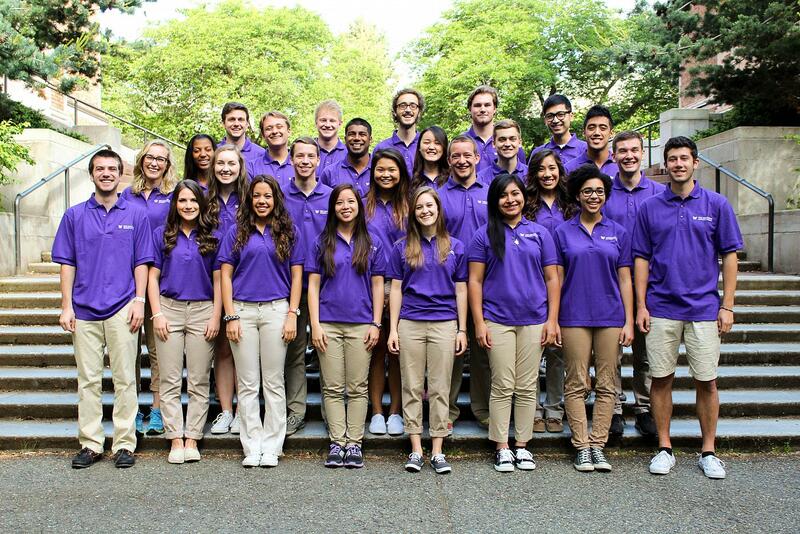 Orientation Leaders work during summer quarter and are paid 30-40/hrs per week. Please email us at uwao@uw.edu or come to one of the information sessions below with any questions. Applications are available online at fyp.washington.edu/apply. The application deadline is Monday, February 2nd by 8:00am.